Fair or foul? – Lynn Rosenthal took a star turn in the jury room Tuesday morning, putting on a roughly five minute show for a room full of captive registered voters. During the swearing-in ceremony, Rosenthal mentioned her name three times, and concluded by inviting everyone up to Room 6810, her assigned courtroom, for a looksy. Of course, Rosenthal isn’t the first judge battling it out at the polls to take advantage of the central courthouse jury room perk. Ian Richards was spotted just last week, despite being assigned to the Hollywood satellite courthouse, where jurors aren’t needed. And everyone remembers Bobby Diaz back in 2012, who took jury room shtik to a whole new level. The question now is whether the 2014 challengers are going to sit back and take it. Both the JEAC and JQC would have jurisdiction to address the issue,* but getting information out of either agency is damn near impossible. 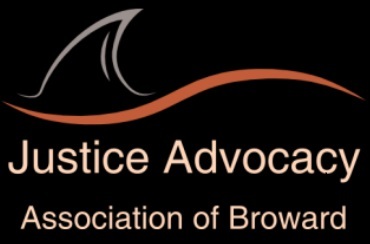 In fact, a JEAC member’s JA told us earlier today the judicial advisory board would only communicate with a judge or a judicial candidate, which unfortunately means the complaint route may be the sole remedy for any other interested parties. And on the local level, Howard Forman half-heartedly told us he’s “looking into it“, while Peter Weinstein has made it perfectly clear he won’t answer good questions from pesky bloggers. Coming Soon – JAABLOG writes the Miami Herald, but will they print it? ; JNC cuts; Judical Administration, Boss Reporting, and you; RESIGNING WOMEN. The Atlantic – What If Cities Stopped Participating in the War on Drugs? Why not check the satellites ,like the West on Monday and Friday. See who is not working !!!!!!!!!! From my experience I say its safe to assume no one is working and be surprised if a satellite courtroom is actually in use.